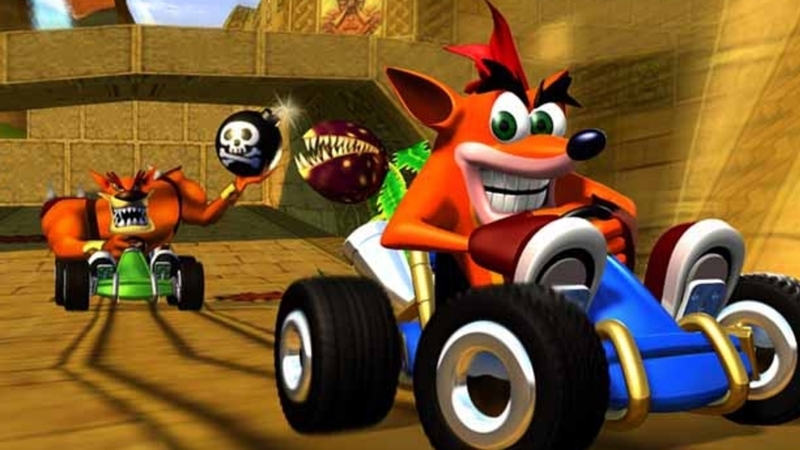 Cult kart racer CTR: Crash Team Racing looks like it’s making a comeback. Following the enormous success of the Crash Bandicoot N.Sane Trilogy remaster, it looks like publisher Activision will revisit kart racing spin-off CTR next. Earlier this week, dubious-sounding rumours began floating around Facebook of an announcement at this year’s Game Awards, due to be held this week – at 1.30am UK time on Friday, 7th December. But then today, PlayStation Access presenter Hollie Bennett teased the following photo on Twitter – of a pair of Crash-coloured furry dice, the kind you might hang on a car’s rear-view mirror. “Sliding into the Game Awards on 6/12,” an accompanying message reads. Eurogamer understands this tease to be the real deal, and Activision will make its CTR remake official later this week. It’s no Mario Kart, but it’ll keep us busy until Nintendo hits the track next. Activision declined to comment when contacted by Eurogamer. Join us with a cup of coffee in the early hours of Friday for our live coverage of the Game Awards 2018 – we’re expecting a fair few surprises.